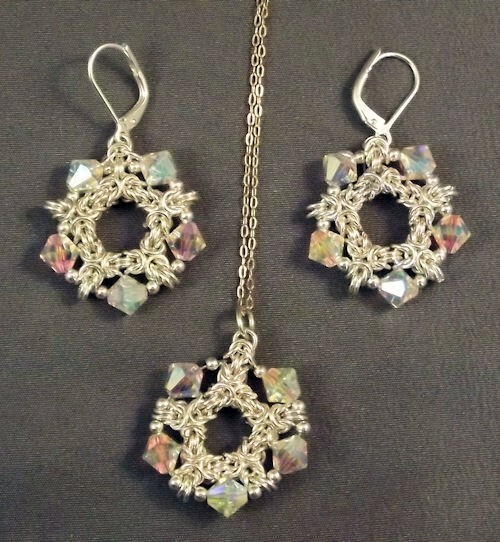 The Byzantine and Stars Pendant and Earrings are absolutely stunning! They add sparkle and shine to your face. They combine chain maille techniques with some minor bead stringing. This is an advanced beginner's project. The neck chain and clasp is not included in the kit but the leverback earring findings are included. Please enjoy these beautiful pieces of jewelry. To Custom Order or Ask Questions, Click Here.